There are only 2 sapphires in the world like this. The other one is $487,000. 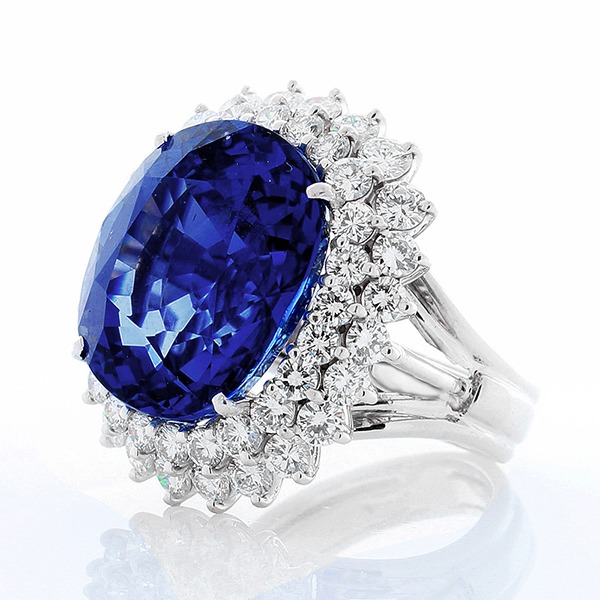 This 26.14 carat, blue Ceylon sapphire from Sri Lanka takes the center of attention. It is non-heated, AGL certified and has an astonishing royal blue color. This is any collector's prized possession. The color is natural. In other words, this is how it came out of the ground. Surrounded by the sparkle of 3.00 carats of brilliant diamonds, it is set in an arrangement that radiates with luster from all angles. This ring is beautifully handcrafted in 18k white gold.